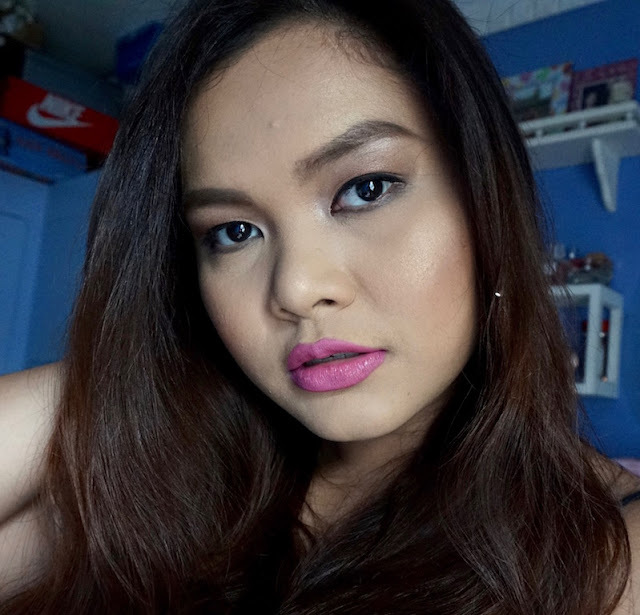 Here's a review on Pink Sugar X Project Vanity These Lips Don't Lie Lipsticks. Before going out to do work and to end the night by watching my BF's play called Moliere PMS by The Egg Theatre Co (please watch! Details HERE! 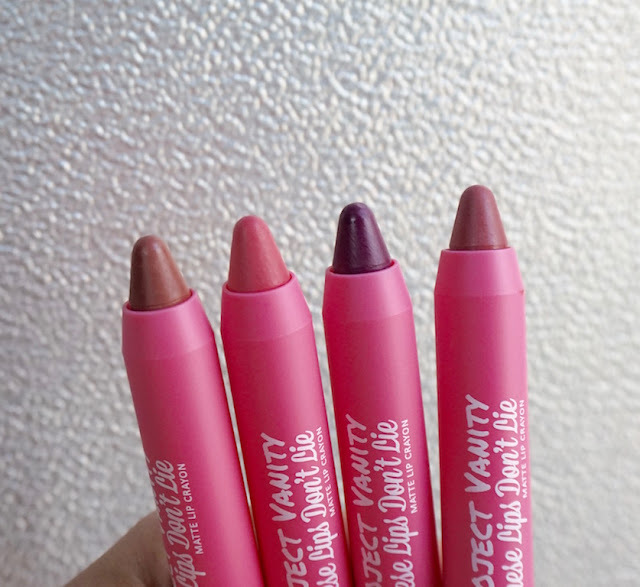 ), I will quickly swatch and review these new lipsticks made by my friend, Liz Lanuzo of Project Vanity, with Pink Sugar. While I'm at it, I should go and wear one of these to inspire my mood today! 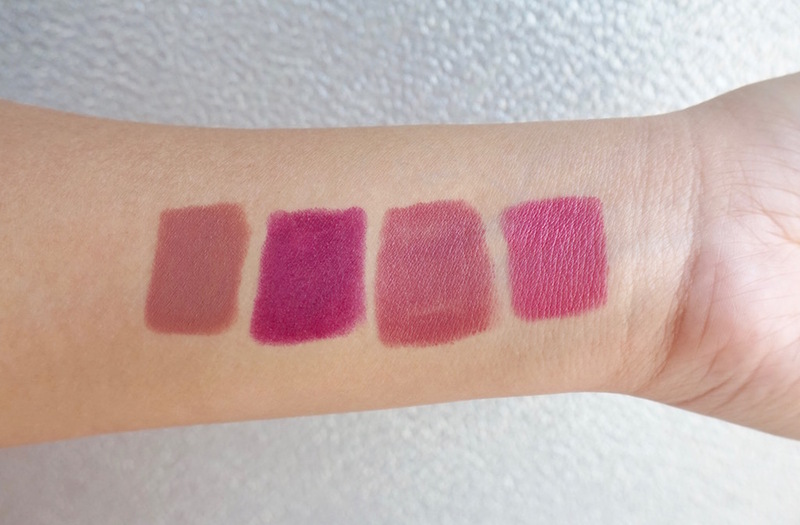 Pink Sugar's new lipsticks come in crayon form and in a smooth, demi- matte finish. Currently, they come in four shades. From L-R: Love At First Swipe, Nothing To Wear, Woke Up Like This, and Ready In Five. 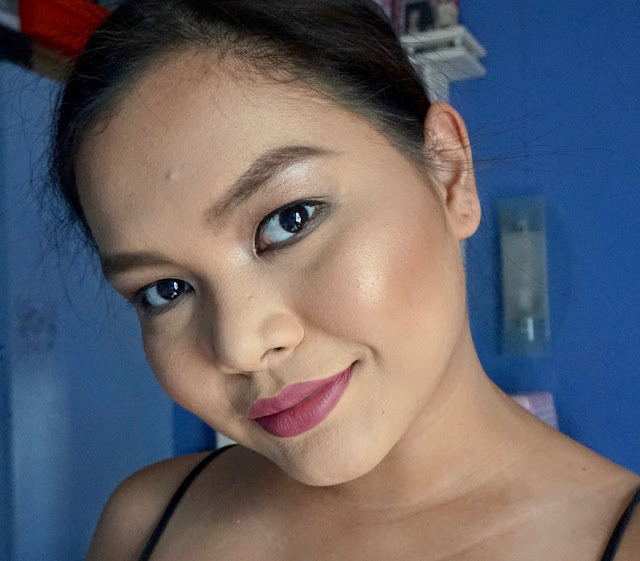 Formula is rich and soothing; it's creamy and moisturizing with just the hint of hardness so it won't stray beyond my lip lines; someone asked me how this compares with its closest counterparts, Revlon Color Burst Matte Balm and Happy Skin Shut Up And Kiss Me Moisturizing lipstick: my take is these are a bit more balmy than Happy Skin's and a lot more moisturizing than Revlon's. My most favorite shade in this collection. It's an earthy brown with a hint of rose to give complexion a bit of glow. This shade actually reminds me of MAC Spirit, one of my most favorite MAC lipstick shades. Ready In Five actually reminds me of Liz's website; I also think this is the kind of Pink that she's really into. For me, however, it's too bright and I wish it were a bit warmer. I think this shade will fare better on fair and medium skin tones. My other favorite, next to Love at First Swipe. Woke Up Like This is such a trendy shade and I think it will look good on almost all skin types. It's so versatile as well as it will suit any setting from office to school, day to night, and casual to formal. Liz is the person whom I always see sporting deep plum lipsticks if she feels like sporting a dark lip so it's just natural for her to include one in this collection. 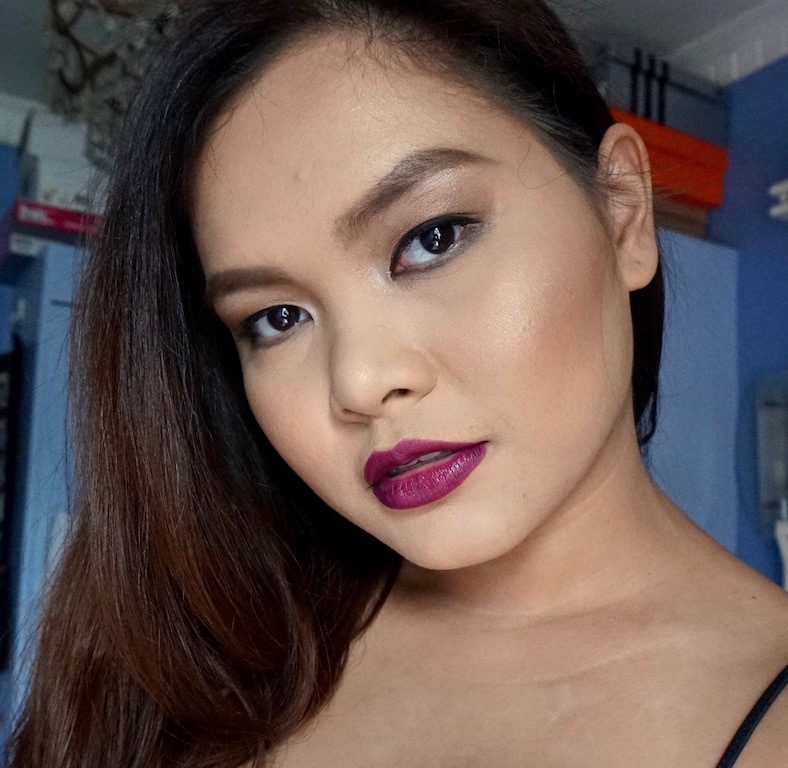 It's your good ol' deep berry that you can rely on if you want to sport a bold lip. My only concern is it tends to look a bit patchy in the middle. 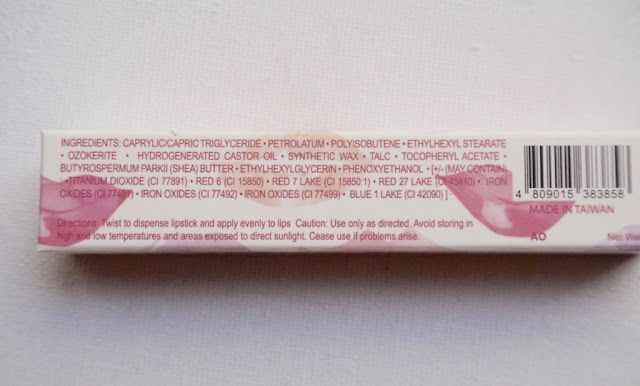 This observation is not unique to this product as I have several berry lipsticks that have the same issue also - I don't know why it's that, but methinks it must be the pigments. Finish is demi- matte; it's the closest thing to wearing matte lipsticks, especially if you have really dry lips. Staying power is pretty good as it fades gradually (and nicely at that) after a few sips of coffee and a meal. It has no scent and that's what I like about it. No dryness whatsoever experienced with this product. 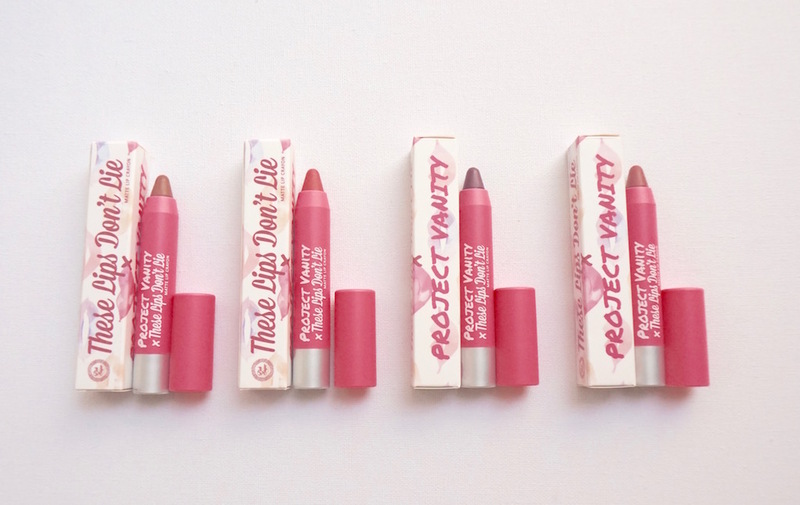 Pink Sugar X Project Vanity These Lips Don't Lie Lipsticks have a great formula and that's what stood out for me. The shades are all classics, but with a personal touch of Liz. Please visit PINK SUGAR on Facebook for more information about these products. It really is love at first swipe! I saw this first on (of course, their site) and feel in love with it immediately. As much as I love liquid matte lipstick, it really is drying. So for days that I want to give my lips a break, I reach out for these kind of products. I'll try this one soon and the packaging reminds me of Revlon's but I like these shades better. Haha! High five! I want to look masungit sometimes especially when I'm alone or commuting. If I get to choose a shade that would be "woke up like this" such a very nice shade! 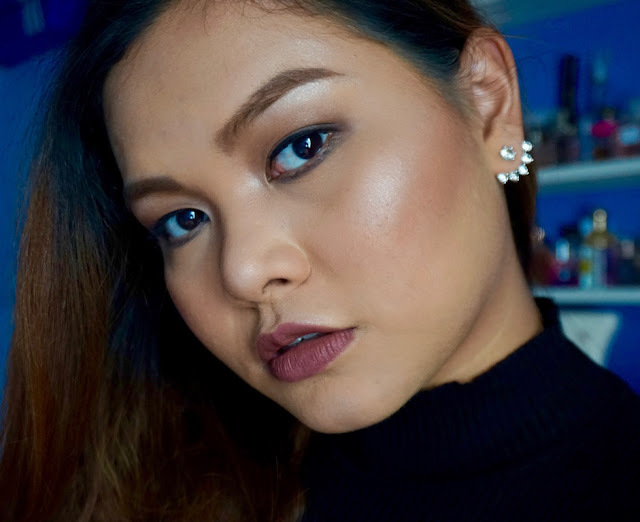 will soon check this lippie out! Nothing to wear looks gorgeous on you and the shade somewhat reminds me of Rebel. I notice that Ms. Liz didn't include a red shade for the collab. I hope you have your own makeup collab too (P.S. punch of reds is a nice touch lol #beingpushy). Lahat ng shades bagay sayo Ms. Martha. I like most is the Woke Up Like This. Goodluck sa play ni BF. You look great in love at first sight. Its rocker chic with the edgy earrings. Ganda ng kilay. #goals. What are you using nowadays? I tried these when I was in SM Makati last week and I feel like they are a wee bit waxy? And dry? I hope these didn't dry out your lips in the long run! I just got Woke Up Like This today at Watson's. Very flattering and an everyday shade. I LOVE THESE SHADES! Love at First Swipe looks amazing huhu. I really want to get into the trend of wearing browns, and I think this color would be a good shade to start with. hope they will be available in any SM in south area! You look really good in love at first swipe! 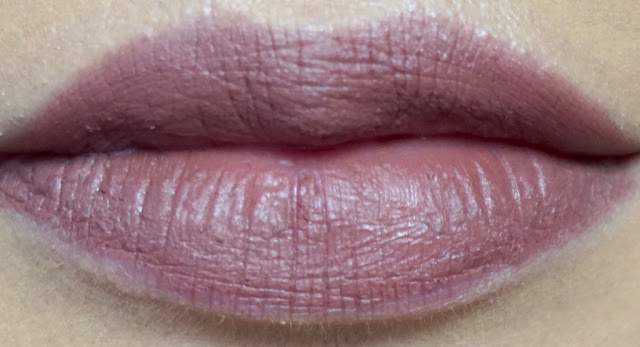 It looks like the perfect browny grungy 90's lipstick that's super on trend right now. 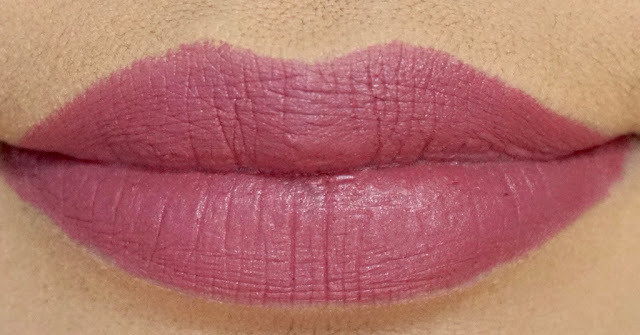 I feel like it's close to ofra's pasadena or mocha liquid lipstick. I love crayon formula lipsticks because they are so easy to apply and very convenient to store as well. I would love to try the I woke up like this and love at first swipe shades! The Love At First Swipe suits you best Ms.Martha. I wonder when are you having a make up collaboration and what will it be, I think I might go insane if I won't get them right away LOL! Thanks for sharing this po. As a make-up lover, I'm really fond of trying different brand of make-ups, especially when it comes to lipsticks. 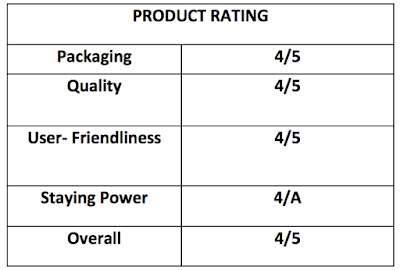 And your review helps me a lot as I also want to try this brand. My sister gave me a matte lip crayon months ago, cheaper this brand, but unfortunately it doesn't last that long and after hours it makes my lips look cracked and dry. 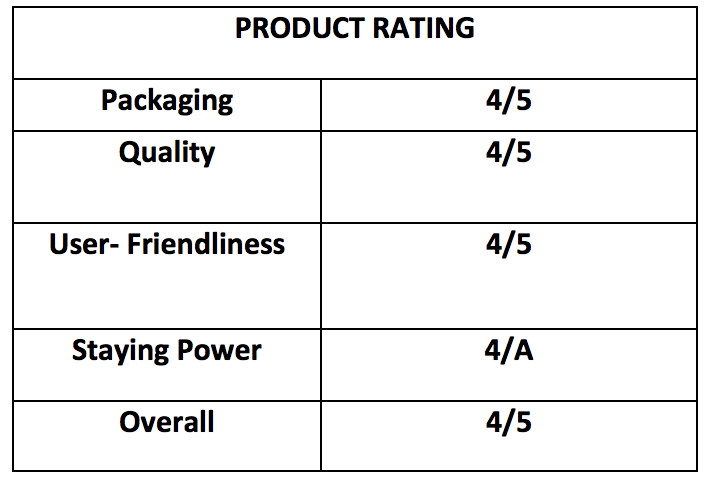 Thanks for this review, Miss Martha, I think I'm going to look for this lip crayon in SM Department store. Problem is, I'm still not sure what shade looks good on me. I think I'm going to go for Woke up Like this because that shade looks good on you, lol. I'm not sure if you already made a post about what lipstick shade matches your skin tone because I'm a first time reader, if you haven't I hope you'll blog about it huhu because it will be a big help for me. Thank you!